In an ideal world, we would honor our elders, learning from their wisdom while taking care of them as age leads to physical and/or mental ailments. Sadly, our world is far from perfect. Many seniors find themselves on the receiving end of rude, disrespectful behavior. Worse still, elder abuse is far too common as people take advantage of those who are unable to protect themselves and incapable of reporting the mistreatment. Our team is committed to fighting all nursing home abuse cases in Northern California, especially when the circumstances also allow us to offer service as a San Francisco nursing home fraud law firm. When a care center improperly treats a patient and then seeks reimbursement from Medicare for these “services,” the same conduct amounts to nursing home fraud on the government and is a particularly lethal form of elder abuse. These cases victimize the target as an individual and as the member of the class of people who are hurt when money is taken from the government health care coffers. McKnight’s Long-Term Care News and McKnight’s Assisted Living News provide news updates to individuals in the senior care arenas. Recently, McKnight’s, along with Courthouse News Service, reported on two California nursing homes that are facing federal health care fraud charges tied to acts that endangered the lives and well-being of residents. The defendant in the Complaint, which was filed in late August, is Arba Group (“Arba”), a management company that oversees both Country Villa Watsonville East Nursing Center (now Watsonville Nursing Center) and Country Villa West Nursing & Rehabilitation Center (Watsonville Post-Acute Care Center). The locations are, respectively, an 87-bed and a 95-bed facility. According to the False Claims Act allegations filed against Arba, between 2007 and 2012 the facilities routinely overmedicated residents, using antipsychotics and other medicines “for the convenience of management” rather than for the good of the patients. The Complaint includes the example of one man who entered the Country Villa West facility in 2009. The man was given Haldol and Risperdal, both antipsychotics, without doctor’s orders and without the consent of the patient or his family. In a two week timeframe, the patient was taken to an area hospital and treated for heart failure, sepsis, an infected pressure ulcer, and other ailments. According to the complaint, Arba violated the False Claims Act by billing Medicare and Medicaid for these and other “non-existent, grossly inadequate, materially substandard, and/or worthless services” throughout the five year period. Arba denies all charges. The current complaint is focused on the health care fraud charges. Such charges are frequently the subject of qui tam actions, suits filed by private whistleblowers on the government’s behalf. Our firm is proud to work with whistleblowers on such matters. We partner with these brave private individuals to bring suit against companies and individuals who are defrauding our government and stealing from the already strained budgets of health care programs while ensuring the whistleblowers are protected from retaliation and receive due compensation for their role in prosecuting these claims. 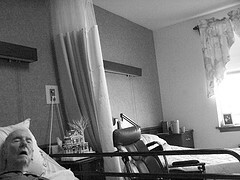 Our firm also represents the victims of nursing home abuse. In this case, it seems apparent that the same underlying conduct would also have caused serious danger to the residents of Arba’s facilities. While claims on behalf of these patients would be filed separately from the fraud charges, having a law firm able to assist with both complaints is an efficient use of time and resources that helps ensure the success of both suits. Importantly, abuse claims typically must be filed within two years of the time the abuse was, or should have been, discovered (California Code Sec. 335.1), issues that may lead to some debate. A qui tam False Claims Act, in contrast, typically has a six year limitations period (31 U.S.C. Sec 3731(b)(1)). Please call to discuss conduct involving either or both of these crimes with Attorney Brod, a San Francisco lawyer for senior’s health care rights. We may be a multi-specialty firm, but we also choose specialties that overlap in ways that benefit our clients.